This is a walk around the immigration heartlands of up to 20th century London, and an area dominated by Jack the Ripper and the Kray twins, once upon a time. Starting Station: Liverpool Street Underground. Exiting on to Bishopsgate from Liverpool Street Station, cross over to Middlesex Road, bearing left along Wide Gate Street, past Kings Store pub, and straight across to Artillery Passage. Despite the current gentrification, it is not hard to imagine how dark and foreboding it would have been in Victorian times. Make a dog leg into Gun Street. Turn right at Brushfield Street, and enjoy the sight of the rather austere but imposing Christ Church of Spitalfields at the end of the road. The church spire was was built by Nicholas Hawkmoor between 1714 and 1749. 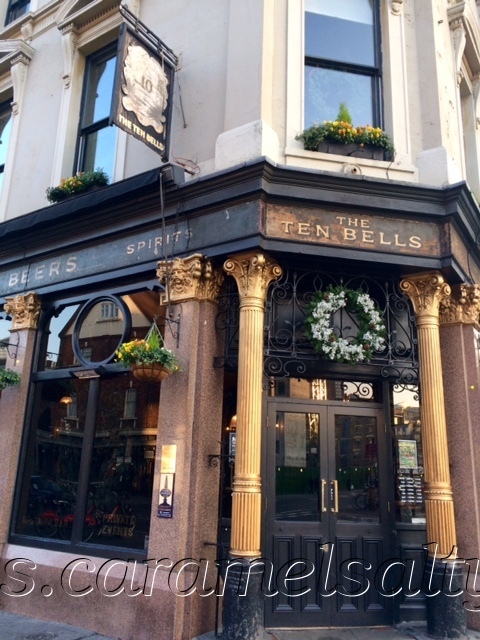 Proceed to the Ten Bells pub, at the corner of Commercial Street and Fournier Street. It originally stood on a site known as 12 Red Lion Street, just a few metres away. However it had to be moved when Commercial Street was built in 1851. The interior of the pub has retained its original Victorian features. Two of the Ripper’s victims in 1888, Annie Chapman and Mary Jane Kelly, are linked to this pub. 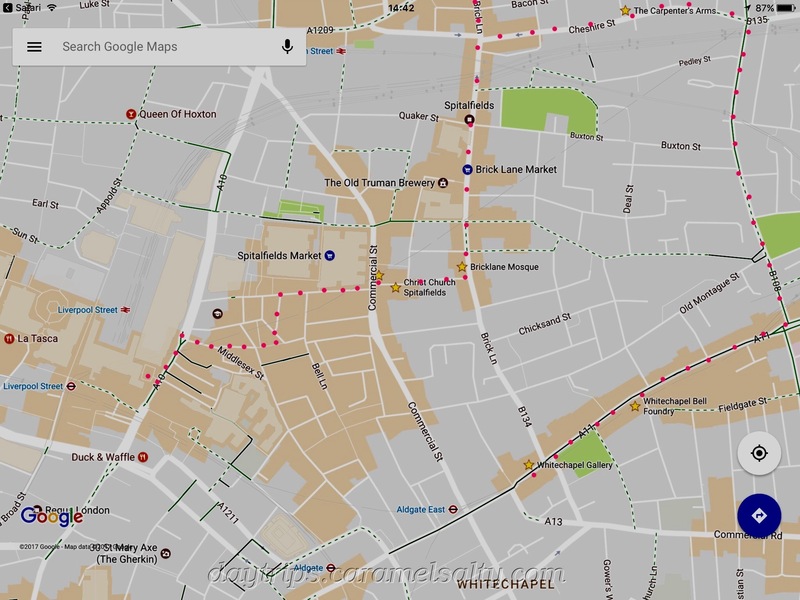 Annie Chapman may have drunk at the pub shortly before she was murdered; and it has been suggested that the pavement outside of the pub was where Mary Kelly picked up clients as a prostitute. Between 1976 and 1988, the pub was named “The Jack the Ripper”. However after a long campaign by Reclaim the Night against commemorating a murderer of women, the brewery (Truman’s) reverted to its original name. Continue along Fournier Street. This is where, in 1685, the Huguenots, who were French Protestants, settled after fleeing from France because of their religious beliefs. Here they built elegant houses, that you can still see today. The Huguenots were skilled weavers, who used their Jacquard looms to make richly patterned silk. It is still possible to see the large windows at the top of the house which they used to work by. And outside the houses , still hang the bobbins around which they once wound the silk. In 1984, archaeologists found that many of the weavers had been buried in the crypt of Christ Church, which you’ve just passed. 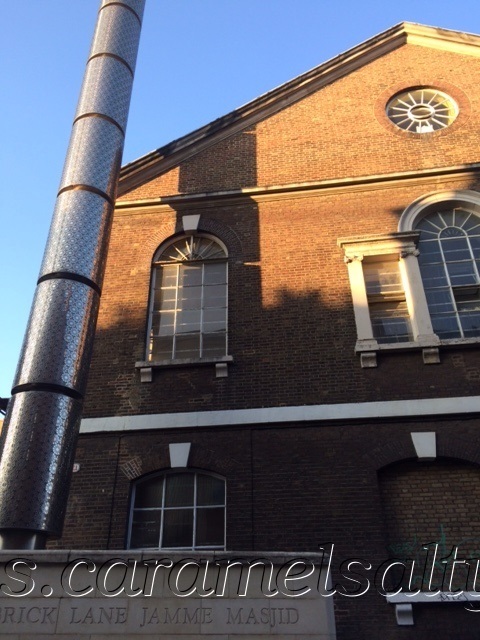 At the end of Fournier Street is Brick Lane, where you will find Masjid Jaama. 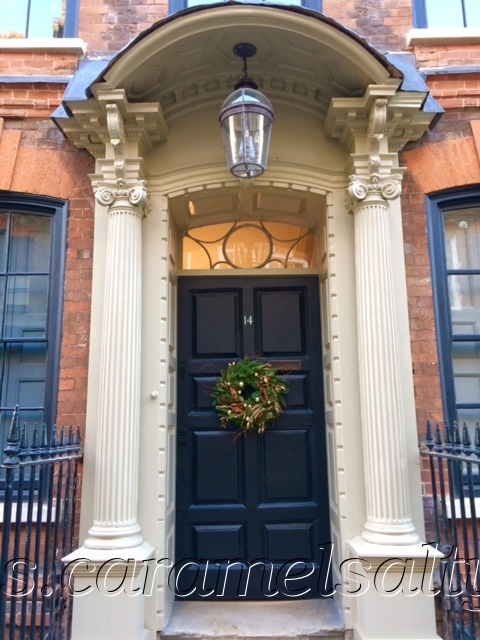 Spitalfields has been an immigrant quarter for 300 years, and the history of this building reflects the movement of communities into and out of this area. 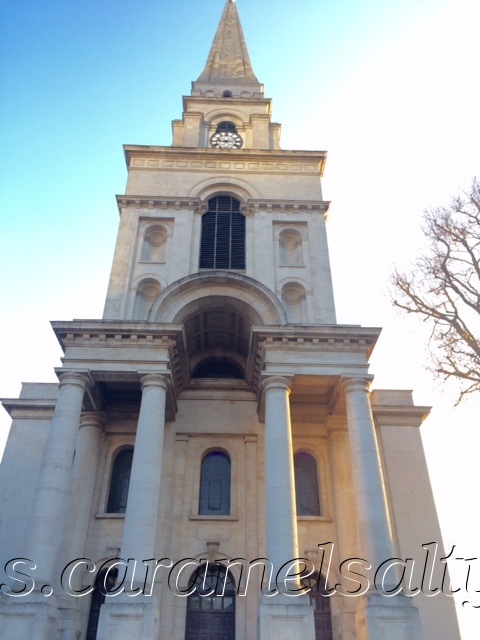 The Huguenots who fled here in the late 17th century, built a church on this site in 1743. Once they assimilated and lost their identity, the church was converted in 1809 to a centre to convert Jews to Christians. This mission failed, and in 1819, it converted to a Methodist chapel. In the late 19th century, tens of thousands of Jews from Eastern Europe moved into the area and it became the Machzeike Hadass Synagogue in 1898. After WWII , the Jewish community moved out. There was then a large influx of Bangladeshi immigrants. And so in 1976, the now unused synagogue was opened as the Jamme Masjid. 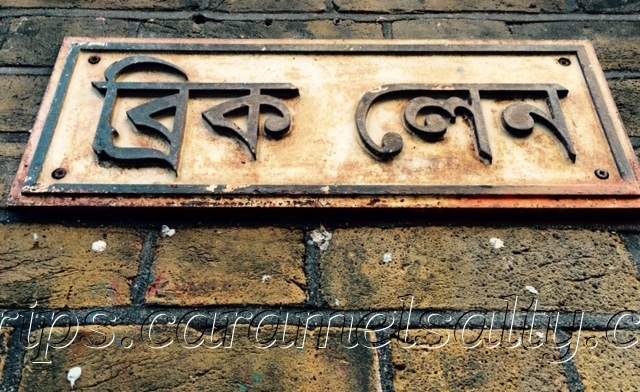 The current influence of the Bangladeshi community in Spitalfields is visible from the numerous curry houses that thrive in this part of Brick Lane and Urdu street signs that abound. It is worth returning in the evening to enjoy a reasonably priced curry and on this lively street. Continue north on Bricklane. Keep an eye out for street art down side streets, on sides of buildings and sometimes, even at your feet. You will pass by the Truman Brewery, now no longer a brewery, but an event, retail and business space. It used to own many of the public houses in the area, including the Ten Bells pub. If you are now hankering for a snack or coffee, there are several appealing cafes around the junction with Bacon Street. And if you carry on just a little further, the well known 24*7 Beigel House offers salt beef sandwiches. Double back on yourself and turn left onto Cheshire Street and continue to the Carpenters Arms pub. You are now beginning to edge into the area where the infamous Kray twins used to live. The Kray twins bought this pub for their mother, Violet, before they were sent to jail in 1968. It is alleged that they had the bar made from coffin lids. Continue to Vallance Road and turn right, passing under the train lines. The walk along this section of Vallance Road is pretty non descriptive, apart from the occasional glimpses of the glass and steel of London’s Square mile through the houses. At the junction of Whitechapel road there is an opportunity for a cultural diversion to Whitechapel Gallery . Turn right onto Whitechapel Road ( towards the gleaming towers of the Square Mile). The gallery is right next to Aldgate East Underground Station. The gallery opened in 1901 , and has taken a pioneering role ever since. In 1938 it displayed Picasso’s Guernica (painted in 1937) in response to fascist provocation of the Jewish community in the area at that time. It was also the gallery to first show pop art, Rothko, Pollock and Kahlo, as well as Gilbert and George. 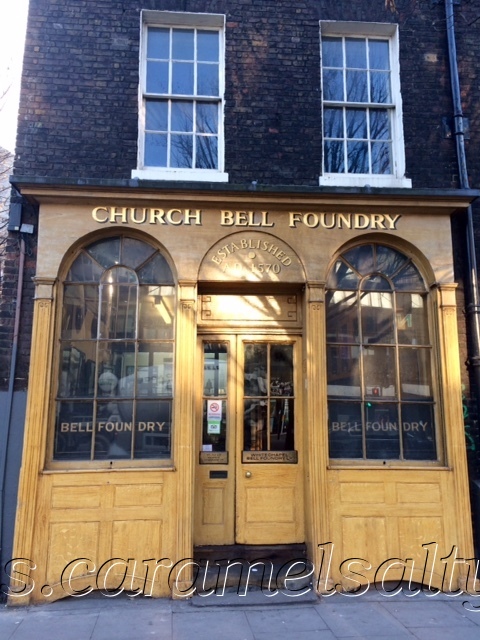 Just a couple of blocks before, on the other side of Whitechapel Road from Whitechapel Gallery, you will find the Whitechapel Bell Foundry. This family run business has operated from this site for over 100 years and the most well known bells cast here is Big Ben ( cast in 1858). There is a wonderful little free museum in the shop. But hurry, as they move premises in April 2017. If you wish to end this walk now, tubes are available from Aldgate East Station. Alternatively you could continue on the Whitechapel to Wapping Walk.